For months and months, I have been searching for an email service provider that doesn’t cost the earth and includes one of the most important features for an internet marketer – an autoresponder. As pointed out in my post Seven Common Mistakes You Should Avoid In Affiliate Marketing building an email list right from the get-go is important. But when you are new to the online business, you don’t want to spend too much money. I have tried Mailchimp, Aweber, and GetResponse but either they didn’t have an autoresponder service included (like MailChimp’s free account) or you have to pay for their service after a 30-day-trial. Aweber’s’ plan starts at $19/month and GetResponse at $15/month. Before I tell you all about Mailerlite, just a few words about what an autoresponder service is and why it is important. Every time someone signs up for your Email or newsletter list, you want to welcome them and say thank you for signing up. This process should happen ideally in within the first hour after your reader has given you her/his email address. If you had to do it manually, that would be a lot of work. Logging into your account, sending the email maybe three or more times a day. An autoresponder does all the work for you. Once you set up your email opt-in form on your blog or website, you also create a ‘Welcome’ mail which is linked to your web form. As soon as someone signs up, it triggers the automated ‘Welcome’ letter. You can decide how quickly you want the email to be sent; immediately, after 5 minutes and so on. Also, every time someone signs up and the ‘Welcome’ letter is sent you will get a notification via email. Brilliant isn’t it! Enough talking. 🙂 Let’s discuss Mailerlite in more detail. In a Nutshell, Mailerlite is an email provider service that offers a forever free plan for up to 1000 subscribers. The free plan includes an autoresponder and landing pages. There is no credit card required! Mailerlite was started in 2005 as a web design and development agency. Since 2010 it is the only product the dedicated team of 26 people has been developing. The main office is in Vilnius, Lithuania. Over 240 000 businesses, start -ups and freelancers around the world trust and using Mailerlite including BMW and GoPro. One billion emails are being sent every month. As mentioned before, I have used a few email providers before (including MailChimp, Aweber, and GetResponse) but have found Mailerlite the easiest to use. The web forms were easy to customize and a breeze to embed into my three websites. I love the clean design and how easy and straightforward it is to set up. The customer support is great. They responded very quickly to my inquiry. I haven’t found any flaws yet. But I promise to keep you posted if I come across any. You can send your emails in 10 different languages including Spanish, Portuguese and French. It is also a breeze to make your email more personal by adding your subscriber’s first name. 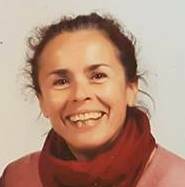 E.g., instead of saying ‘Hi there’ it’s much better to say ‘ Hi Anke, thanks for joining my Newsletter list.’ The personal touch helps to build a better relationship with your audience. The value that Mailerlite offers for their free plan is just incredible. For the same features, I would have to pay at least $15/month with GetResponse for instance. Why pay when I can have it for free? I bet; you won’t find a better email provider elsewhere! For up to 25000 subscribers it is $80, and for up to 50000 the costs are $140. Please note: this includes unlimited emails. 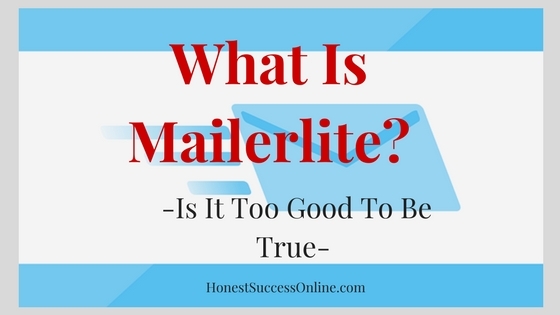 Mailerlite – is it too good to be true? It is good, and it is true!!! In my opinion, it is the best free autoresponder and the best free email service provider on the market. 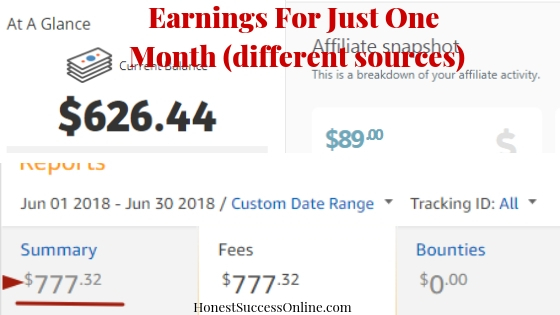 No hidden costs, no upsells, no credit card required and it has all the important features we as internet/affiliate marketers and bloggers need. Just to compare Mailerlite with MailChimp, one of the big market players. MailChimp up to 5000 subscribers – $50; Mailerlite – $20. I think these numbers speak for themselves. Mailerlite offers so much value for your money. So I invite you to try Mailerlite for yourself. Please share in the comments below, what your experience with Mailerlite or other email services is. I always love to hear from you. Are you keen to learn more about affiliate marketing and email marketing? Check out my review about my #1 recommended online training platform. Next Post What Are Plugins Used For? There are of course free services like MailChimp and Sendinblue but they either have limitations on email sending capacity or their pricing plans aren’t cost effective. I can’t thank you enough for writing about this provider and making people aware of such an awesome opportunity. Hi SmartPrince, thanks so much for your comment and feedback. So many people don’t know about Mailerlite (yet) and I hope that I can help spreading the word. It took me months to find out about Mailerlite. The features are so impressive and the service is awesome. Big thumbs up! Please share with your friends and on social media so more people can take advantage of this awesome opportunity. So glad I found this post! I’m putting the finishing touches on my first site and creating a downloadable giveaway for anyone who joins the mailing list. Mailerlite seems the way to go. I’ve dealt with MailChimp before and didn’t find it very intuitive. In fact, it’s somewhat difficult to work with. I like the Mailerlite business model of keeping it free while your subscriber base grows. If you need to upgrade that only means you have a larger list, which will pay for the upgrade. It’s a win/win. Hi there JonBro, I have to agree with you in regards to MailChimp. It is quite difficult to work with it and takes some time to get used to. Mailerlite is far easier to deal with. Very straightforward. As I mentioned in my post, the biggest advantage is the autoresponder and as far as I know, Mailerlite is the only email provider that offers this as a free feature (for up to 1000 subscribers). Win/win for everyone, you are absolutely right. Thanks for this review of Mailerlite and I totally agree with you on why an autoresponder service is so important and that you should start to build up an email list right at the start of building your business. 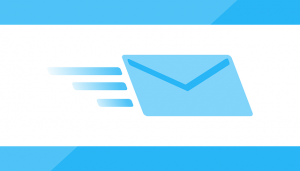 Mailerlite looks like the perfect option to get started with. As you say it is easy to use and free for up to 1000 subscribers. Even as you build your list up the prices are very reasonable! Hey John, thanks for taking the time to comment. I do hope that many people will get to know more about Mailerlite. As I mentioned in my post, even though I was researching extensively for a free email provider with an autoresponder, it took me months to discover Mailerlite. And the quality and service is spot on! Thank you for the awesome amount of information! Personally I have only used WordPress plugins to or RSS feed services that managed my subscribers, but that’s because I never really got to the level of needing something more…. yet! I do remember using a plugin quite a bit ago that allowed me to create a custom newsletter, headers, response emails and such, all customized by me. It allowed me to send emails to a group of subscribers or all of them. If I do get to the point of needing the services that Mailerlite offers, I will definitely look it up! If you remember the name of the plugin, please feel free to share it with the other readers. I think it’s always good to have different options. Thank you. This is the first time I’m hearing about Mailerlite. I’m currently using MailChimp, and I thought it was the only service that provided a free account (until a certain number of subscribers is reached). The only thing I don’t like with MailChimp is that they frown upon users who send emails with links to blog posts containing affiliate links. About 60% of my blog posts have affiliate links so I was thinking of moving over to Aweber. But with this info, I’m seriously considering using Mailerlite instead. One question, though: Do you have any idea whether you can connect Thrive Content lightboxes and widgets to Mailerlite? I do know they accept several email service providers, but I don’t know whether Mailerlite is included among them. Thanks again. I really found this post helpful. Hi there Princila, thanks for chiming in with a comment. I searched the net regarding your question if you can connect Mailerlite with the Thrive Content light boxes. It looks like you can. Here is the link to check it out. Is it Mailerlite cool with affiliate marketers including links and promoting offers? I’ve read a few comments from different people mentioning different companies frown upon it, I think Mailchimp was one of them. Mailerlite would be the best option if yes! Hey Nick, thanks for your question. I just checked Mailerlites ‘Terms Of Service’ and yes, you are allowed to add affiliate links. It has to be clearly marked so your readers know that it is an offer from another company. Here is the link so you can read more http://www.mailerlite.com/terms-of-service. I hope it helps. What I usually do is redirecting email subscribers back to my posts which may contain affiliate links. Woah, this is definitely a secret! haha. I’ve never heard of this autoresponder and I’ve also looked for a good free one for quite a long time! I’m surprised I’ve never heard about it… Especially when I live in Lithuania as well. I’m definitely going to use this autoresponder, because it’s like they say “money is in the list”. Yes, you will love Mailerlite. It is so easy to use and the customer service is just great. All the best for your online business.